Traditionally, magicians don’t reveal their tricks, but, lucky for you, I’m not an actual sorcerer. (I just practice the dark chocolate arts from time to time.) Recently, I concocted a mysterious but incredibly delicious cake recipe that’s sure to defy what you think you know about baking. So, ladies and gentlemen, boys and girls, children of all ages, gather around for the most magical bake! You’ll have to taste it to believe it. The recipe starts out like all good magic tricks do, very simply. 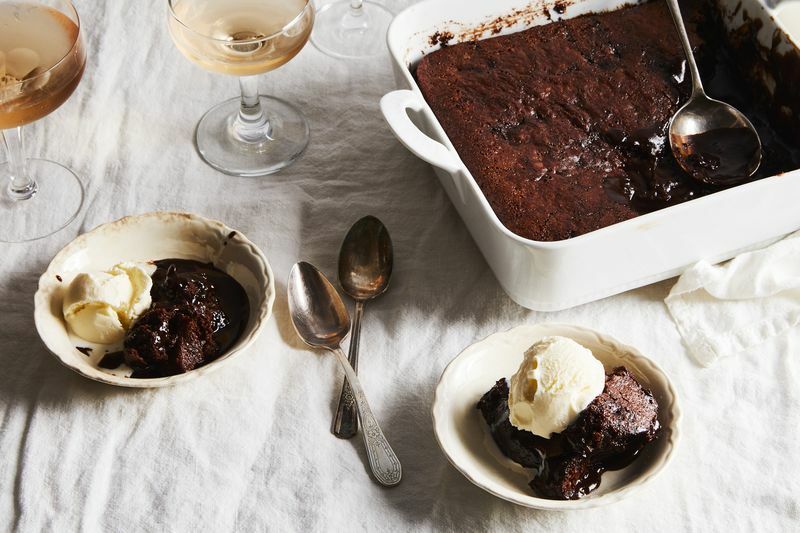 A silky chocolate cake batter is poured into a pan. Then, you top it with a concoction of brown sugar and cocoa powder. Strange? It gets even more mysterious. Next, you drown the top of the cake with hot water straight from the cauldron (or just regular hot tap water works fine), say a spell (this is optional, but I recommend it), wave your magic wand (or rubber spatula), pop the cake into the oven for twenty minutes, and bippidty boopity boo. What comes out of the oven looks like a perfectly baked chocolate cake, but there’s a shocking surprise underneath. 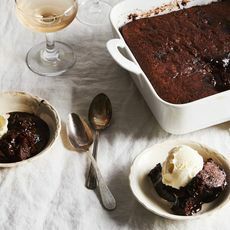 A hot, bubbly, molten layer of chocolate fudge. Is there an explanation for this? I’m sure. But, like most magic tricks, it’s probably more fun not to know. This article was written by Grant Melton from Food52 and was legally licensed through the NewsCred publisher network. Please direct all licensing questions to legal@newscred.com.